The P.E.I. government has rejected applications from three corporations to purchase farmland in the Summerside area. The land was put up for sale by Brendel Farms. The three corporations that made the applications are Galloway Farms Ltd., Long River Farms Ltd. and Indian River Farms Ltd. The newest of the three corporations, Galloway Farms, was registered as a corporation in the province on Feb. 5. "What we're doing is applying the law of the Lands Protection Act here and we're going behind the corporate veil and seeing who are the owners of these corporations," said Land, Communities and Environment Minister Richard Brown. According to filings on the IRAC website, the three corporations had submitted 32 applications to purchase parcels of land totalling 2,221 acres in the Summerside area currently owned by Brendel Farms Ltd. The decision to deny the purchases was made last Tuesday at the final cabinet meeting before government called the election. 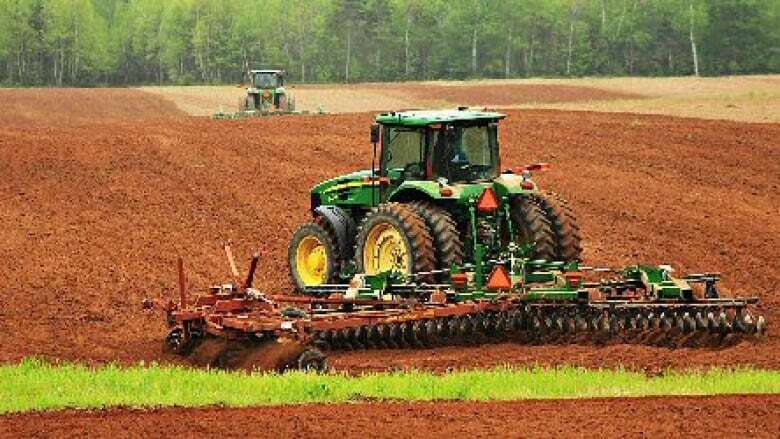 The National Farmers Union had spoken out against the sale, suggesting corporations have been using loopholes to circumvent limits on land ownership on P.E.I. It had said it would try to make this an election issue. "In the past couple of years many, many farmers across Prince Edward Island and farm organizations ... were saying their concern was about the concentration of ownership of ... land. And they wanted us to apply the rules of the Lands Protection Act ... and we applied that to this application," said Brown. "If the corporation is beneficially owned by one person or a number of people and those land limits are applied and they're over the land limits ... it will be denied." Those limits have nearly doubled in recent years with allowances for leased land and non-arable land increased to 1,900 acres for individuals and 5,700 acres for corporations. According to local farm organizations, Brown said, there are a number of other potential people looking to purchase the land to grow potatoes. There was no immediate response from the Irvings when asked for comment.